Every year I choose a word. For a lover of language this is a difficult task. The green leaves I love begin to turn brilliant shades of red, yellow and orange as they loosen their grip on their life source and float to the ground. The light dims as days get shorter and cold winds blow in. I dig deep and bury heart cries of musty yearnings mixed together like a bag of bulbs never knowing what will bloom. Covered by cold earth and first snows my winter sadness always sets in. I anticipate the journey of Advent, but I long for the afterbirth, the new life that grows from the stump of Jesse’s root. I really need the Cross and the Resurrection. I need the Hope of a God who is making all things new. I ask God to show me what I should choose to shape my entire coming year around. My word for 2014 is “PLAY”. In May of 2009 Danica’s neck went crooked. Our lives were turned inside out and upside down. I stopped playing. Every single effort of my spirit, mind and body was for saving her and holding our family together. I worked to continue to provide day and night. In between I was driving this little girl to every doctor, specialist and therapist I could. Dan worked the 3-11 pm shift so I could try to work online in the mornings. I was alone with the girls at night. After I would get my little Delaney tucked in I would sit outside Danica’s door while she screamed in pain. My prayers were a strange and sometimes sinful bargaining with God. I would give Him anything if He would just help her. I barely ate. I couldn’t sleep. When I finished my programming list work, and she had finally cried herself to sleep, I became obsessed with internet research and making connections with anyone who might help us. Our bodies can only withstand this level of stress for certain periods of time. They will eventually break. I found a counselor early, before we even knew what Chiari was, and she drew me a picture of my brain. She showed me simply how there are two bowls there. One is what empties us; work, stress, illness and toxic relationships mixed in with basic things we may lack like shelter, food, clothing and security. The other bowl holds good things in whatever form we most need; the basic things I mentioned above but also rest, relaxation, loving relationships and yes, PLAY. We were created by a God who loves to give us good things. He created us to experience pleasure. Rest was so important to Him He actually made it a rule to live by and dedicated one day out of seven to it. He asks us to be like children in many ways. He wants our hearts and minds free in such a way we do not worry about what we will eat or drink or wear but choose the better part instead. We are back to the Catechism I shared in an earlier post. God wants us to spend quality time enjoying Him and glorifying Him forever. I began 2014 determined to restore some kind of good to the almost empty bowl in my brain. After a revision of my brain shunt in February I was blessed to take a trip to Tucson. It was an amazing week of retreat and rest but also of play in every way. I wore my talisman of play the entire time. (Lisa Leonard makes the most beautiful hand stamped jewelry perfect for your word of the year.) I read spirit filling books. I laid by the pool with my face in the sun. I hiked into the Sonoran hills. I bird watched. I took lovely photos of tiny dessert details. I had a spa treatment. I fed my body healthy meals. I spent two full days of my trip with my dear sister-in-law, a relationship that sustains me. I sat on the patio every single night to watch the sun set over the mountains and the starts and city lights appear. Each evening, along with the other guests there, I drank a shot of tequila and toasted new friends around a fire that burned late into the mountain chill. It was everything I needed and wanted it to be. I was also well for the first time in years. I had the week I’d begged God for. Just seven days of feeling no pain and remembering what real life could be like. He graciously gave this to me. My only regret was my husband and girls could not see me like this. When I returned home I began to look for ways to begin again doing things I enjoy. I made more art. I planted a perennial garden. I threw a fun outdoor party with all my friends. I went to a concert. I went shopping with a friend to putz for vintage treasures. I listened to music and watched movies I’d missed in those lost years. I was able to just be with my husband and girls, and this was the best play of all; having a relationship with them outside my bed, outside of pain, outside of sickness. Mixed in all this was some intensive plasma treatment and hospitalization, IVIG infusions with home health, Meningitis, more plasmapheresis and another surgery, but I had filled up the good bowl enough to make it through. Play saved me. 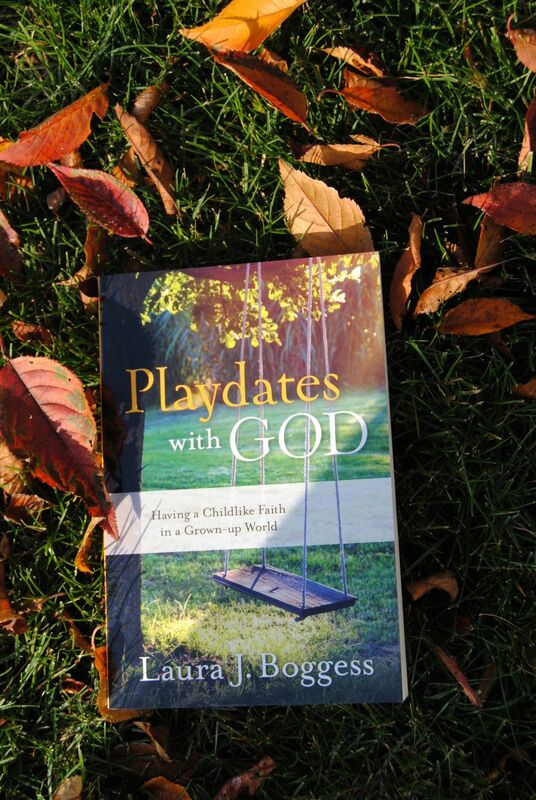 Several months ago Laura Boggess published a book titled Playdates with God. I have read it through twice now. It is all marked up and page flagged. The book is a beautiful journey through her own longing to make deliberate time in her serious and busy life to just BE with God in the purest form possible here on earth. How do we even begin this without some kind of intention turned into practice? Could we start small? Could we carve out just one hour a week for our hearts to pursue enjoying God and practicing play? Would the ritual grow to become a sturdy thread in the fabric of our lives? I met a dear friend for coffee on Saturday. Her heart was sad about how life is sweeping her away. Day after day of sameness turning into weeks, making months and then suddenly you see a year of life gone without much joy at all. How does this happen? I encouraged her to put first things first every single day and then start small. You can do this too. Carve out one hour a week and make it holy. Let your husband know and your children know this is an appointment with God. It’s not your quiet time or your prayer time or your Bible study. Those are the first things. This is an hour you will do something you love. You will open your eyes and your heart like a child to remember what brings you joy. This is your chief end. Glorify God. Enjoy God. Make a playdate with God. Tomorrow morning I am heading to Laity Lodge in the hill country of Texas for The High Calling retreat. I will be beautifully out of touch from this “world” and in fellowship with saints and my God in a hallowed place. While I’m gone think about how you would you choose to spend your first playdate with God? Share in the comments here. 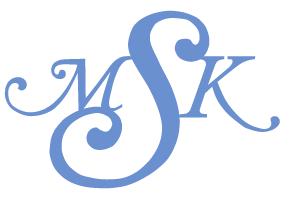 When I return I will randomly choose a winner of my “PLAY” chalkboard banner I have treasured this year and a copy of Laura’s book “Playdates with God.” To be entered you need to subscribe to the site on the right side of the homepage, comment on this post and share socially by clicking the links below. Keep your eyes open. You will SEE Him. Ordinary miracles are His specialty! Hmmm….I think for my playdate, I would probably go immerse myself in nature. Maybe on a hike – although not till it gets a LOT warmer. LOL As much of a homebody as I am, I find that often I feel closest to God when I am enjoying the rest of his creation. Me too Brooke! Especially if I still lived in the Valley. Where is your favorite place to hike? Apryl, I like how you want to learn new ways of play. Pushing ourselves outside of comfort zones often brings the most opportunity for joy! LOVE. I did not know these parts of your story. Thank you for sharing them, for being real about your fight for joy. I can’t wait to meet you! Bring your sweet self to the canyon and we will sip deep from God’s heart together. I would love to create some mixed media art, write, or do a jigsaw puzzle. I so fervently practice work and rest but neglect play and deem it a luxury rather than an essential discipline. Jillian, We must meet soon. I collage as play. I hope this post encourages you to schedule an hour a week to ENJOY God through play. It brings a renewal of energy even rest cannot accomplish. As I’m learning to play again myself, I would love to have a play date skiing all by myself. No littles to put gloves on, worrying about if everyone was having fun, etc. Just a day alone in the mountains, pushing myself back into the sport I love. I know this will happen. You have fought hard for healing, and it is coming slowly but surely. It’s an answer to prayer you are out there this year! LOVE YOU. Hi, Monica, I have watched you and Danica through FB and through your other blog (Danicasteam) since September 2010–just before her Chiari and fusion surgery. I also do not take time to have playdates with God. I do have my own Bible study and teach a Bible study with another lady. Sometimes others join us during our Bible study. Dealing with the same conditions you do, I, like you, have a long to-do list (even though I am not a wife and mother). I am always behind on my to-do list because of my medical conditions. I am very interested in this concept of a playdate with the Lord. I am homebound and cannot go outside by myself, so I need to plan a playdate in the house. Like other ladies have mentioned, I can do it with my craft projects and preparing for Christmas. Thank you for starting this new blog and sharing this concept with us. Martha, You have been such an encouragement to me and so many others. I remember you planning a prayer page on facebook for my first major surgery. It is a more difficult and thoughtful process to have play dates with God when we are home bound, but I know for sure when I set aside time to really enjoy Him every other area of my life is strengthened. Much love! This is a beautiful piece, Monica! It was such a blessing, such grace poured out to meet you in the Canyon, and an unexpected answer to prayer. I think often of what it will be like just beyond the veil when these clay bodies are redeemed. My dream playdate with God would be a day hiking in the Canadian Rockies with my husband and all five of our kids, healthy and able to enjoy what they used to love so much before EDS, dysautonomia, etc., a day to drink in the beauty of creation, the joy of experiencing it firsthand in every fiber, to the very marrow of their bones. Oh Cindee, Our meeting was planned by God. I added the beautiful cross you gifted me to my prayer bench today. I will take a photo for you. I will never hold it without offering prayer for you and your family. Much love new friend! Ok so I am not internet savvy… I could not figure out how to subscribe lol. But here is how I play… I sit outside and feel the breeze and how the sunshine prickles my skin and look at the detail of all the things God has made and watch as people walk by and wonder of their struggle. I also like to act silly and play outside with my kids, sharing my love of outdoors. If I was well again I would take long hikes, run a crazy obstacle course, weight lift again, snowboard again, go on a longgg family bike hike, climb a small mountain. Oh Amber, All these sound wonderful. My idea of “play” has certainly changed through illness. I still dream about doing those active things again and always joke with my running friend we will run together on the streets of gold someday when there is no more pain! LOVE. My handy dandy random name picker chose Jillian Humphrey! I’ll be in touch for your mailing information and get the play banner sent. Your book will come from Amazon directly. Today I am writing about Advent and will be giving away a copy of Ann Voskamp’s new “Unwrapping The Greatest Gift” I have a super fun box of goodies giveaway coming up next week. It’s going to be the Christmas box you wish your friend or husband would know to make for you only you have to enter yourself and nominate friend to be eligible. Be thinking of someone in your life who could really use a Christmas surprise. Keep your eyes open for ordinary miracles!